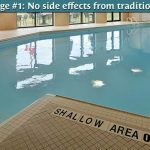 A couple of years ago a decision was made to convert our chlorine based indoor pool to salt water. Once we weighed out the pros and cons, it was a ‘must do’ to make this conversion. You may wonder what lead to making this choice. Simply put; it’s a cleaner, safer and more soothing swim our guests now enjoy. 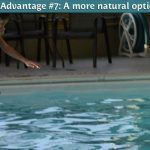 How do Salt Water Pools Work? Salt water pool systems actually create their own method of keeping a pool clean through electrolysis. 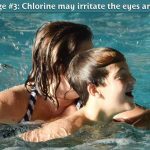 As such there is no dangerous storage of chemicals associated with chlorine based pools. This cleaning process insures that the water is safe, bacteria free and always healthy. Sanitizing in a salt water pool is a natural process that requires no handling of dangerous chemicals. You may think of the salt water oceans in our world as a comparison to a salt water pool. It’s not an accurate comparison as salt water pools only contain about 10% of the salt found in natural sea water. The type of salt that is used in salt water pools is the same as table salt—very gentle on your eyes and skin. 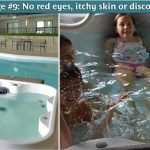 It was our conclusion that a salt water pool out-performed a chlorine based pool in every aspect related to health, cleanliness, and body benefits. 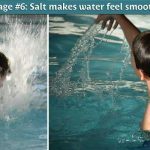 These are the main reason we choose a salt water solution vs. Chlorine. In our ongoing efforts to improve the guest experience we added a outdoor patio that is accessible from the pool area. Are There Life Jackets Available? Members or guests can bring their own life jackets but we do not provide them. Are there any pool toys available for kids? We sell pool equipment at the fitness centre but we do not provide equipment. Is the pool age restricted? If you are under 16 you must be accompanied by an adult. How do you keep the pools clean? 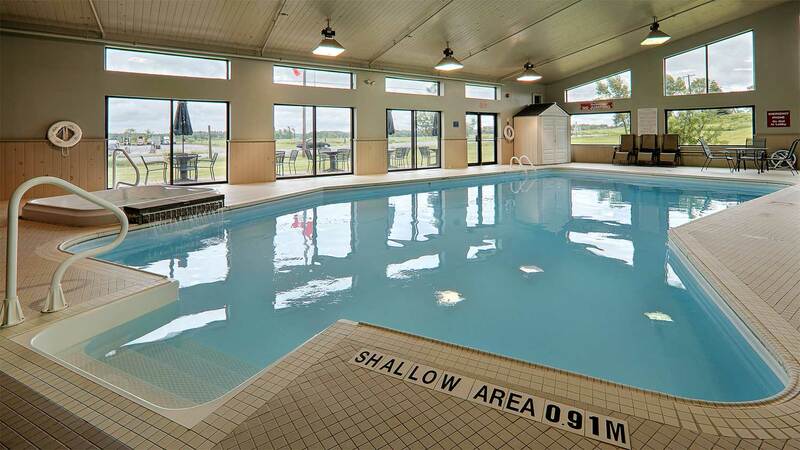 The pool is cleaned, tested and maintained by our fully trained professional maintenance staff. 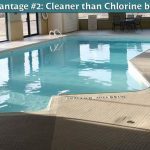 It is also good to know salt water pools are self cleaning as mentioned in this article. 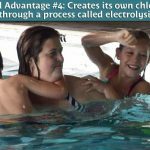 Do parents need to accompany their children in the pool? Do you have change rooms & lockers? Change rooms, showers and lockers are located on the lower level in the fitness centre. You must have your own lock. Are towels included at the pool? Yes, there is a fully stocked towel shelf and used towel hamper located just outside the pool entrance door. At what age are babies required to wear swim diapers? We always recommend that babies wear swim diapers if they’re not toilet trained. What temperature do you keep your pool at? The temperature of the water is 84 – 86 degrees. What kind of pools do you have? We have a salt water indoor pool but the hot tub is chlorine. Do you have any fitness programs that utilize the pool? We offer 4 – 6 Aqua Fit classes per week. What’s the size of the swimming pool? The pool is 30,000 gallons. Can Locals use the Pool? Yes you can by booking a private party that includes the use of the swimming facilities. If you just want to swim simply pay the drop in fee at the fitness center. What Hours are the Pool Open? Weekdays from 7AM to 10PM and weekends 8AM to 10PM.